We are engaged in supplying superior quality of Rotary Cone Vacuum Dryer that are designed as per the specification of the clients. We are the manufacturer and supplier of Automatic Vacuum Tray Dryer. We manufacture premium quality of Industrial Dryer that are widely used in industrial area. We offer the wet material loaded into the dryer is usually restricted to 45-50% of gross volume. 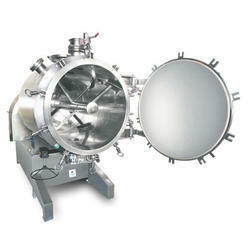 We offer “Prabala Rotary Vacuum Dryer with Bust Collector, Condenser and Receiver of “Provak Watering Vacuum Pumps. 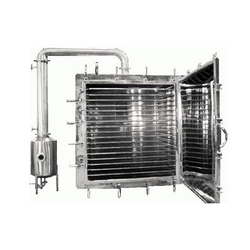 To dry heat sensitive and air sensitive material under vacuum thus accomplishing the drying at moderate temperature avoiding contact with air.